Hello everyone!! 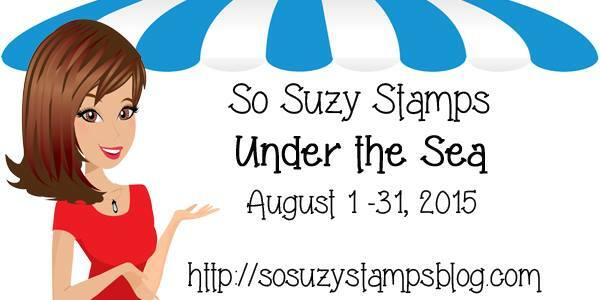 I’m here today with a new a2z Scrapbooking Challenge. Its all about Clean and Simple and I have a super fun technique for you: using a die cut to create a CAS card! Yup, you can use your dies to create CAS cards. Go figure!! Creating this was pretty simple. 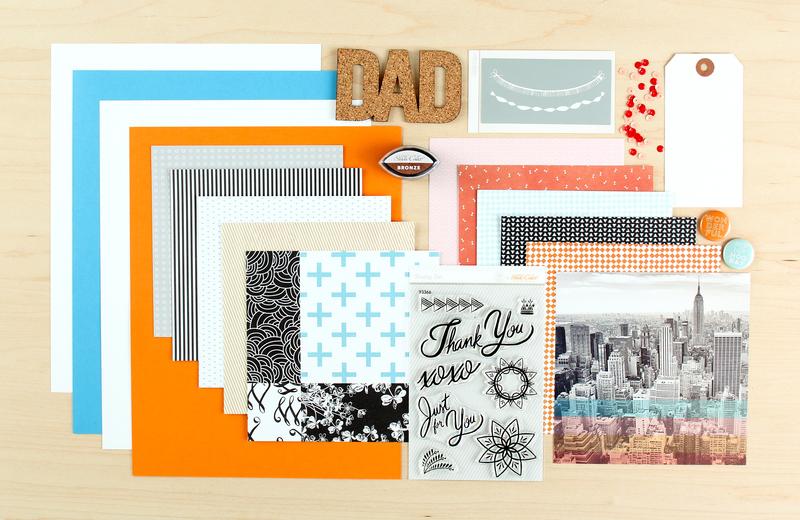 Take Hero Arts Paper Layering Large Lotus and die cut the white cardstock panel. Use Hero Arts Handwritten Grateful and stamp the sentiment in the top left hand corner. Adhere a scrap piece of watercolor paper with Plus adhesive behind the flower so that color shine through. 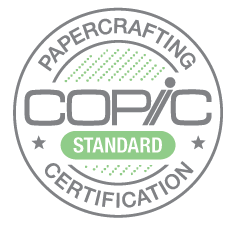 Trim 1/2″ of the white cardstock so that the black cardstock base will show on the left side of the card. Adhere the white card panel on top of the black cardstock using Plus adhesive. To finish the card off add some Hero Arts Gems in the center of the flower and around the sentiment. I hope you love what you see and that it inspires you to join us this month. 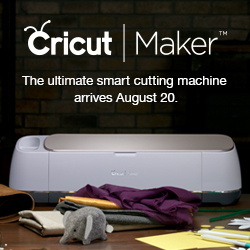 You have the entire month to create a new project and enter it into our challenge. By entering you will have a chance to win a $25 Gift Certificate to the a2z Scrapbooking Store. Winner will be announced on the 7th of June. Good Luck! Hello everyone!!! 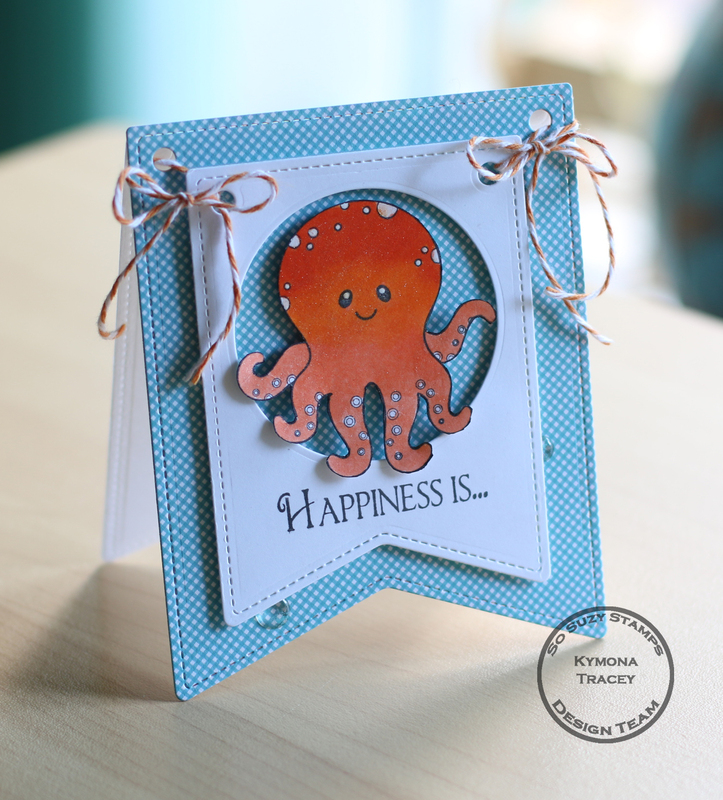 I’m here today with Your Next Stamp (YNS) and the Sketch and Color Challenge #18!! I cut all of my pieces of papers according to the sketch. Instead of using an actually circle I decided to create a shaker window in the shape of a circle. I use my fuse tool to create the shaker packet and adhered it to the front panel of the card. 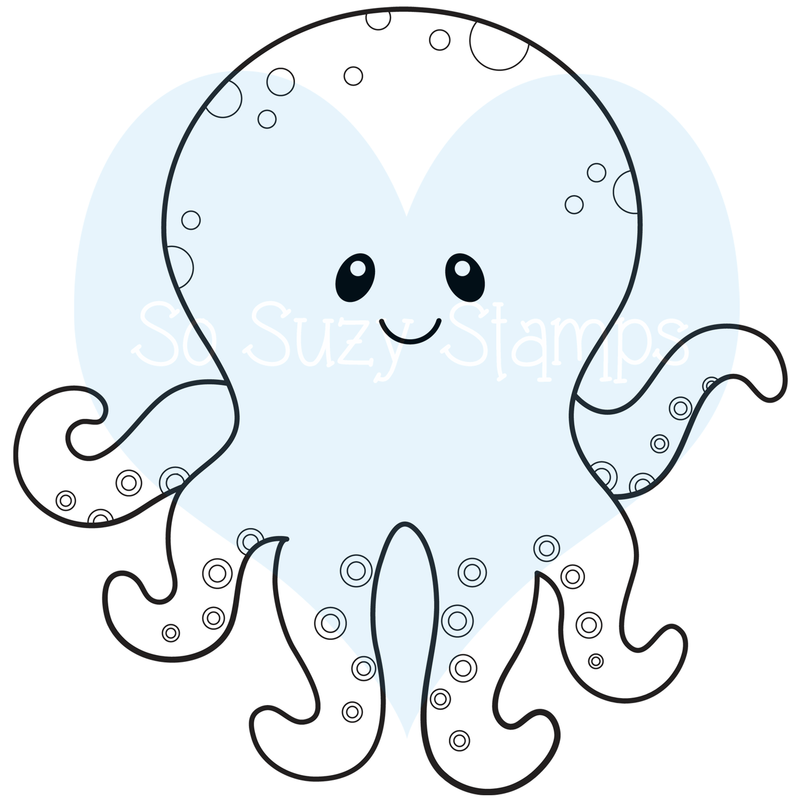 I adhered all of the pieces together to create this cute and fun card. I used Copic Markers: C1, C3, RV17 to color my penguins. You have until July 23rd at midnight EST to play along and submit your project on the YNS Blog post. 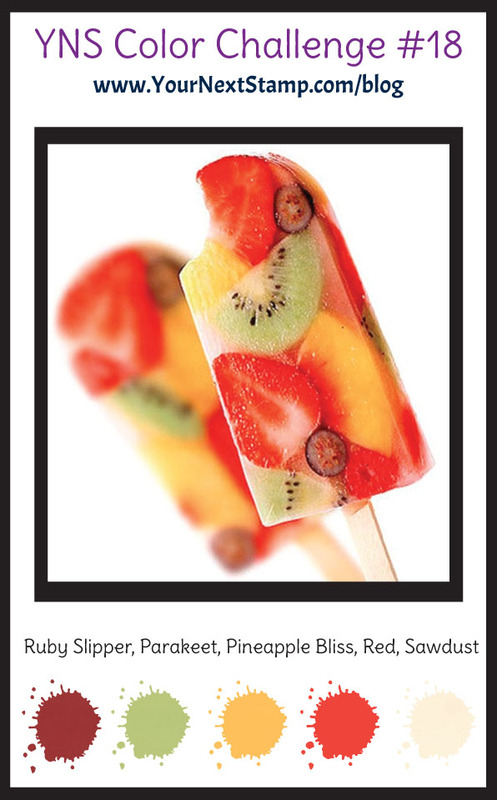 One random participant will win a $15 gift certificate to the Your Next Stamp Store. 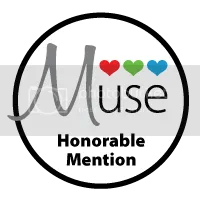 If YNS stamps or dies are the focal point then the winner receives and additional $5 gift certificate fro a total of $20. The winner will be announced on the YNS Blog the Sunday after the challenge closes. This is our eighth challenge for 2015 and the weather has finally warmed up for us up her in the Northeast! Much better then two weeks ago!! This weeks photo is pretty and super springy (is that a word?). Perfect colors for a Mother’s Day brunch! Wait, for all of you who are mothers and mothers-to-be, Happy Mother’s Day!! Its a day late, but better late then never!! 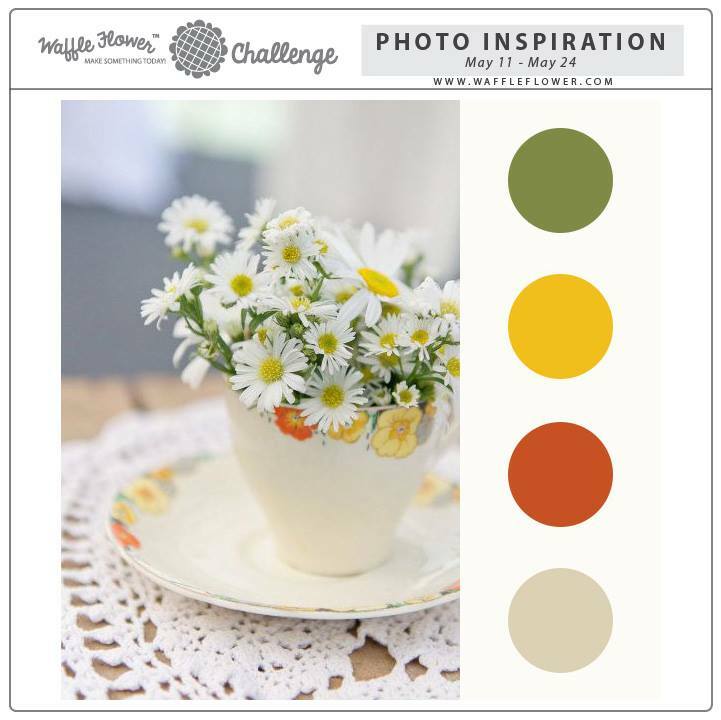 For this challenge, I decided to use the colors instead of the picture for inspiration. I’m playing with a couple of new dies from the last release. Did I tell you I love all of the stamps and dies that were released. All of them are totally amazing. If you haven’t seen them, you must head on over to Waffle Flower Craft Store and check them out. I decide to go with an all black background so that those pretty colors can shine through. I inked my cardstock with Distress Ink Mustard Seed and Spiced Marmalade then cut it with Waffle Flower Craft Doily Circle Die. I adhered the die cut off to the side of the card front with adhesive and cut off the excess. Then I used the Congrats Die Cut and cut it 4 times to have a stacked sentiment. Super easy! The doily is so pretty once its cut out. Its a must have. I’m linking my card up to Virginia’s View Challenge. Hello everyone!! First let me say thank you to all of you for your well wishes for my dad. We have a long way to go but day by day, we are getting there. Please continue to pray for him. While he slept last night, I had a chance to play with some of my craft stuff. The week before he took sick, I received a lot of WPlus9 goodies that I haven’t had a chance to play with. 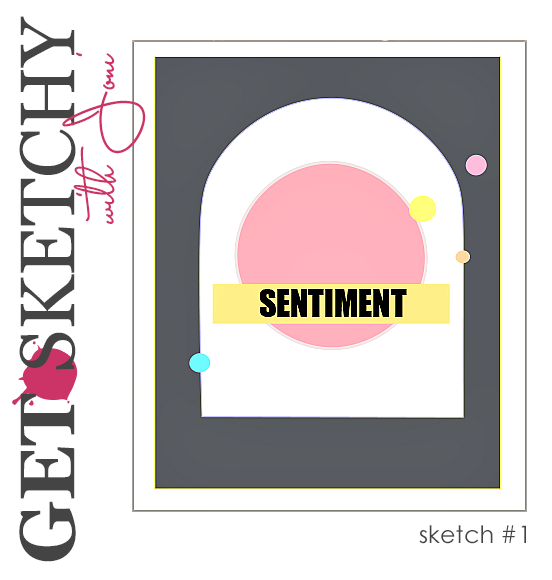 So I decided to play along with their Get Sketchy With Joni #1 Challenge. Oh man did I have fun creating this card. I knew I had to be fast because my dad is dead set on going back to work. He use to work nights so when 11pm comes he jumps up to go to work so we have to be prepared to stop him. So, I need to make a card that didn’t require all of my time. So I decided to make a shaker card and use my We R Memory Keepers Fuse!! I bought my Fuse some months back from HSN when they had the bundle for a great price. I’m not sure why I bought it, maybe the price was right but in any case, I’m glad I bought it. So last night, I opened the package an started to play. 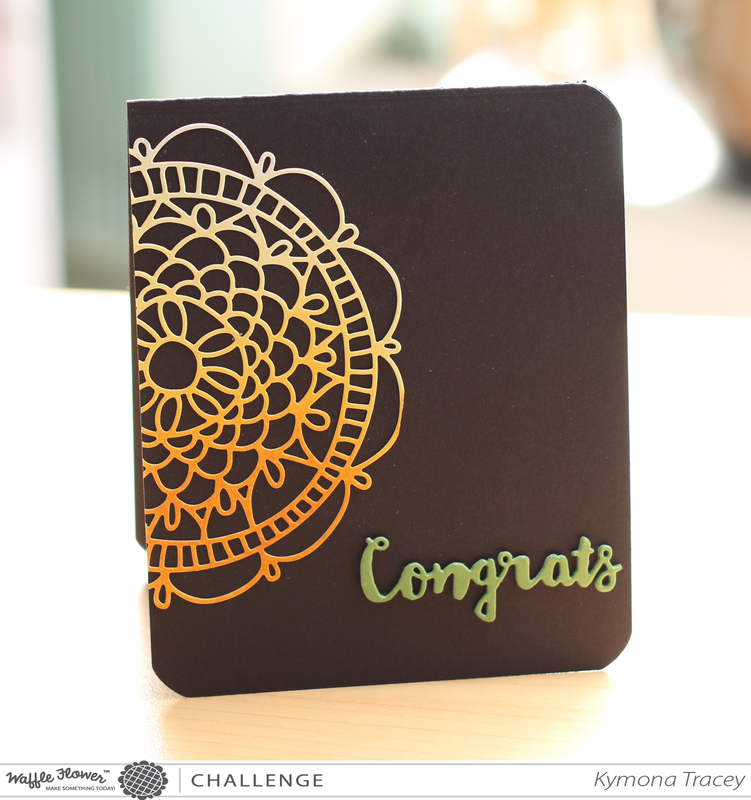 Jennifer McGuire used her fuse to create a shaker card and I knew I wanted to give it a try. 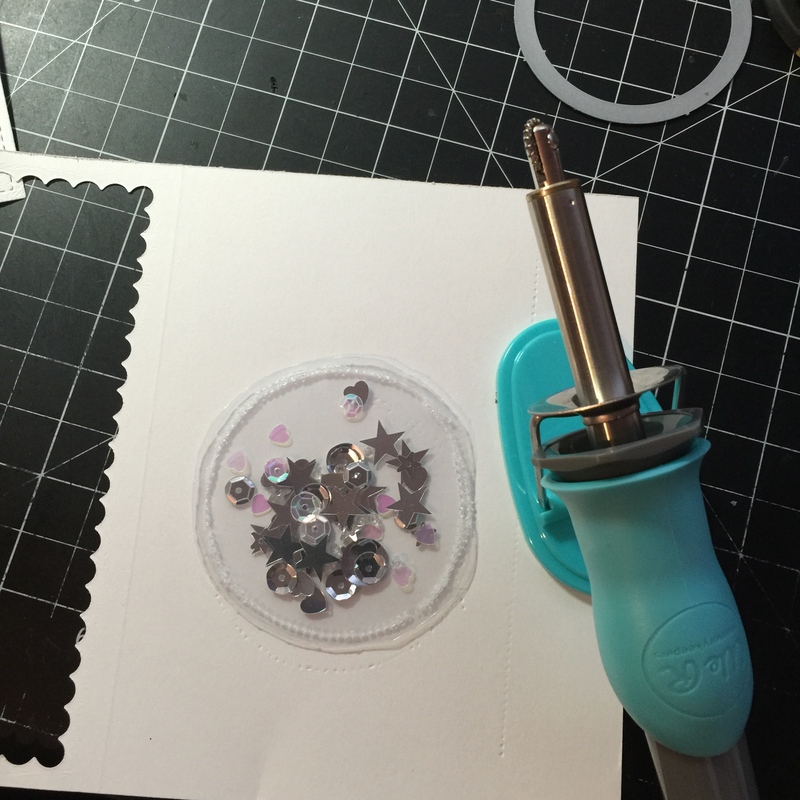 Check out my circle that was created using one of the photo sleeves that came with my fuse. 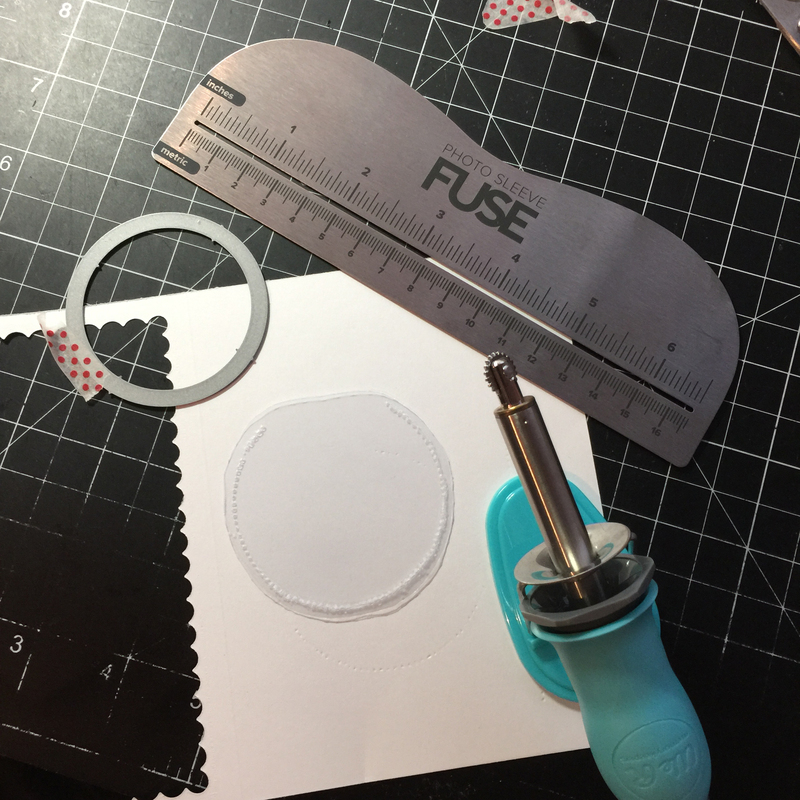 I used my circle die as a guide to fuse the plastic together. Check out my shaker pocket after I add my Star Shine sequin from Lucy’s Card Little Things Collection. OMG, super easy and fun. Now I know what I can create as my dad sleeps. I will have to create some more. 1. I used Studio Calico’s May Card Kit pattern paper to create the rest of my card. 2. I cut the pattern paper using Wplus9 Sunshine Layers Die to create my card panels. 3. My tag was created using Pretty Pink Posh Stitched Duo 3 Die and Simon Says Stamp Stitched Circle. 4. I used the 3rd biggest circle die to cut a circle in the tag and the gray pattern paper. 5. I added my shaker pouch in between the tags die and the gray pattern paper with Tombow Extreme adhesive. 6. 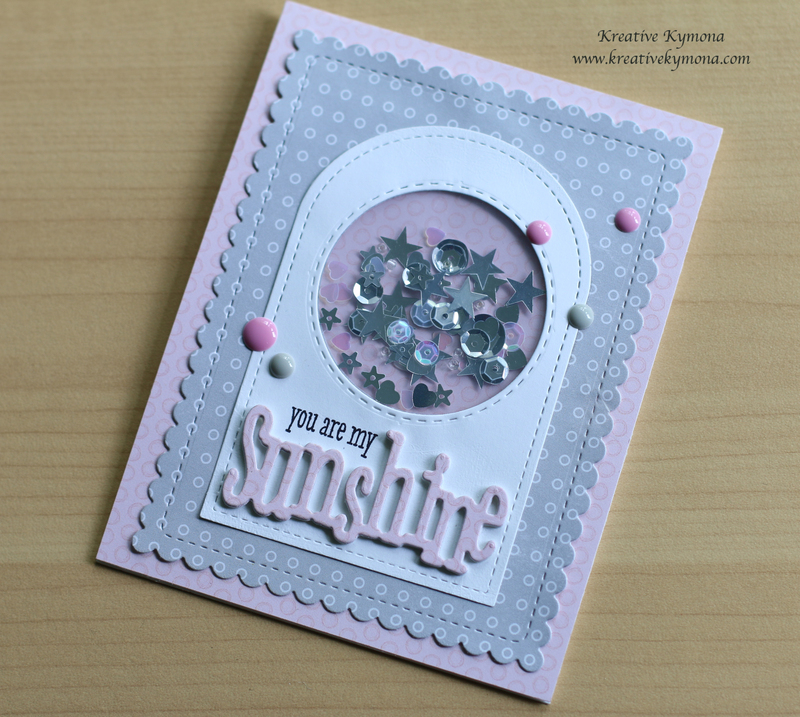 I die cut the Sunshine sentiment out the pink pattern paper 4 times and adhered them together with Tombow Multipurpose adhesive. 7. 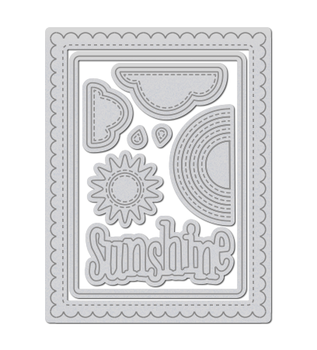 I stamped the sentiment from WPlus9 Sending Sunshine right above the Sunshine die cut in My Favorite Things Hybrid Ink. 8. I added Doodlebug Design Birthday Girl Sprinkles to my card front to finish my card off. I love how this card turned out and I finished in time before my father woke up!! Yayyyy! It felt good to craft again. So what do you think? I love how this card turned out turned out. 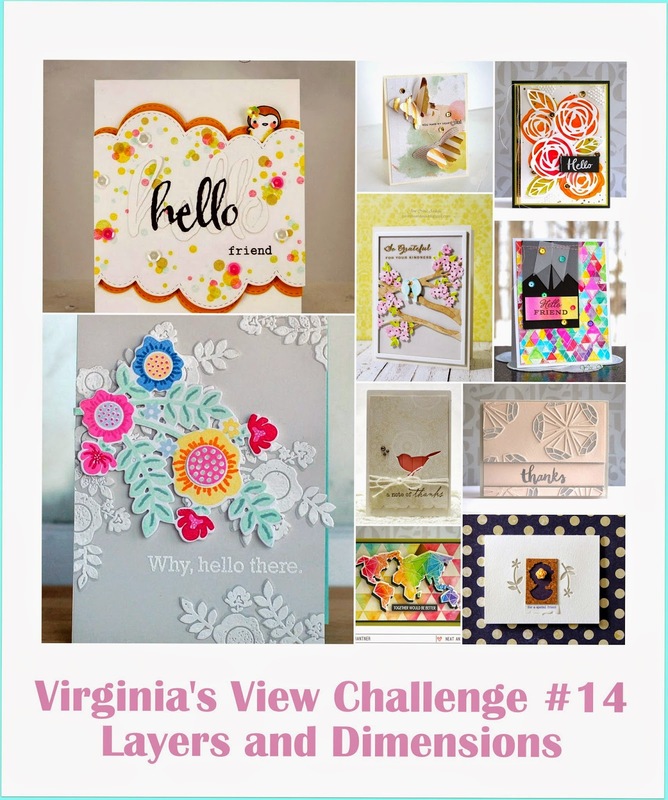 I’m also linking my card up to Virginia’s View Challenge. Hello everyone!! 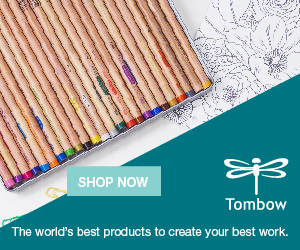 I’m here today with Papertrey Ink Make It Monday Challenge. This week Lexi showed us how to create a white on white die cut card with a pop of color. Totally love this idea. Isn’t this apple die cut the cutest!! I love their new Apple Die with the Apple Mini Stamp Set. 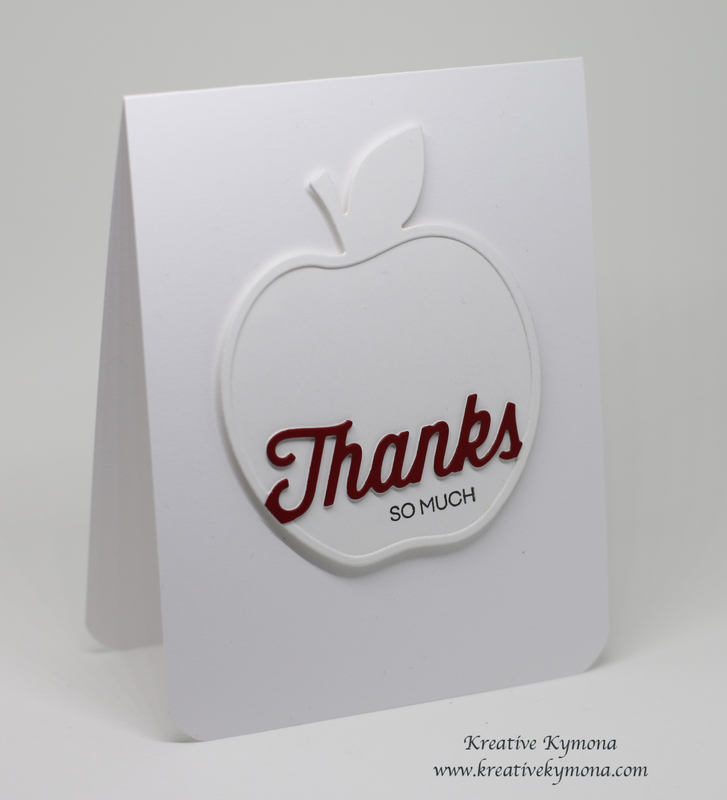 I simple die cut the apples and then die cut the thanks with Simon Says Stamp Schoolhouse cardstock. After die cutting the “thanks”, I carefully cut the sentiment away from the apple. I adhered the thanks and the apple outline with Tombow Multipurpose Glue. I stamped the sentiment with My Favorite Things Hybrid Black Licorice Ink. I adhered my apple to the card base with foam tape. Super easy and totally fun. I love these stamp and die set. I can’t wait to play again. I took another photo with a different background, playing around with my new Foldio in the middle of the night.